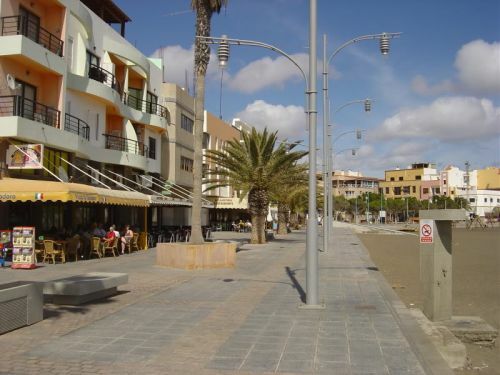 Tuineje in Fuerteventura can refer to the small town in the southern part of the island, or to the Municipality (Ayuntamiento) that it is the administrative center for. In 2013 the population of the municipality was 13, 946. 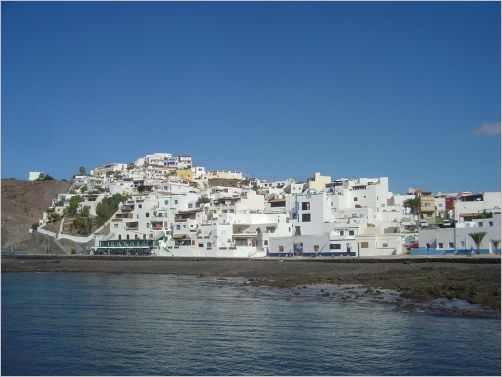 Most of the population of the municipality lives on the coast in the small town of Gran Tarajal, with other notable settlements being Tuineje, Tarajalejo, Tiscamanita, Las Playitas and Tesejerague. 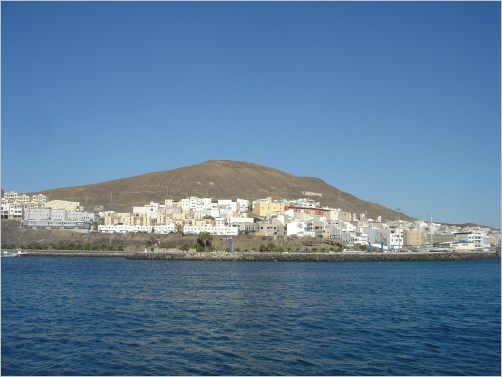 The main part of the economy in Tuineje, Fuerteventura is agriculture, with tomato and forage growing being the most important, followed by goat farming with its associated meat, milk and cheese production. Aloe Vera is also grown and its associated products produced. Tourism provides some employment in Las Playitas where there are two hotels and in Tarajalejo where there is one hotel. 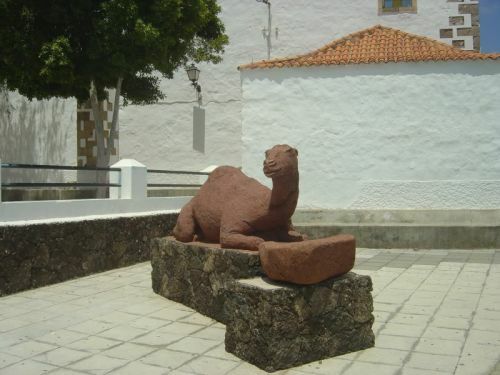 The very small town of Tuineje is the administrative centre of the Municipality. Tuineje is located on the FV-20 road which runs down the middle of the island. 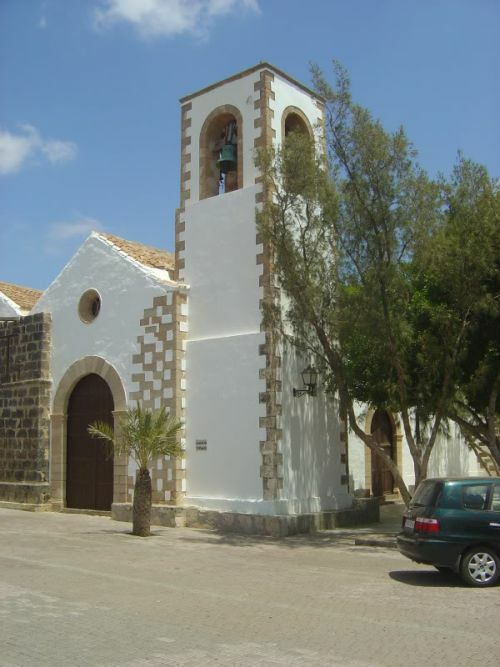 As it is in the heart of the island, it is remote from the tourist centres of the island. It is therefore very quiet. The church and its plaza are worth a visit. It has a couple of shops, a petrol station and a school. Farms around the village are noted for making excellent goat’s milk, goat’s cheese and tomatoes. 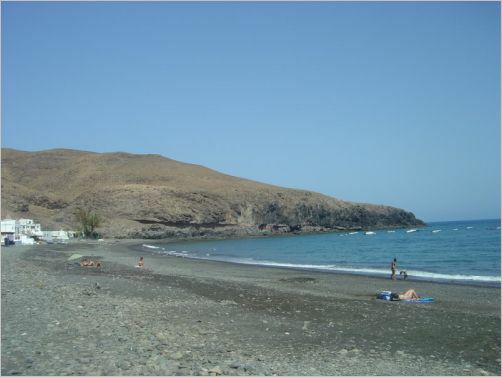 The beaches in Tuineje are of black sand at Las Playitas, Gran Tarajal, Tarajalejo and Giniginamar. The most important landscape features are the Caldera de Gaira, an extinct volcano cone,and the Malpais Grande which is an extensive area of volcanic rock spreading over several square kilometers. All the villages have churches of interest which are named after their patron saint. Linked to these saints are the annual Fiestas which take place to celebrate them, so for example its San Miguel Arcangel in Tuineje, San Diego in Gran Tarajal, San Pedro in Las Playitas and the Virgen del Carmen in Giniginimar. 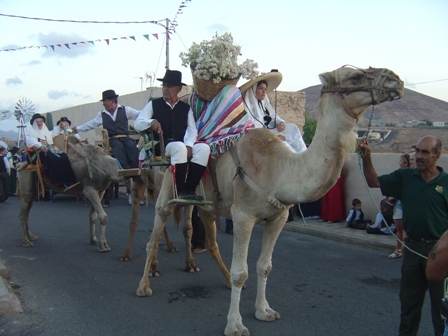 There are fiesta events leading up to the Saint’s Day, and these will include sporting competitions, local singing and dancing groups, a religious procession and church service, and several all night parties called ‘verbenas’ which feature 2 or 3 groups or bands. 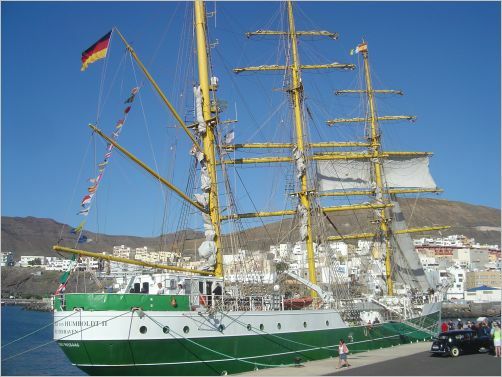 Other special events in Tuineje, Fuerteventura are the Carnival in Gran Tarajal in March, Semana de la Juventud (Youth Week) in Gran Tarajal in August, and the Campeonato de Pesca de Altura (Open Fishing competition ) in Gran Tarajal in September. 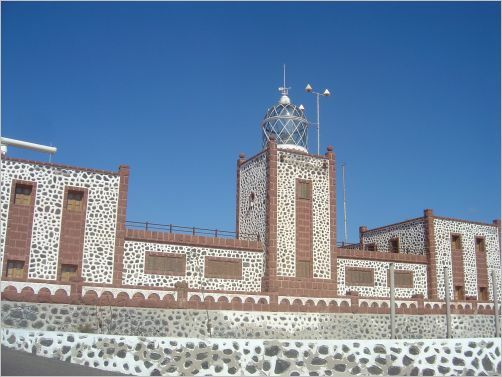 The most notable historical buildings are the Faro de La Entallada (lighthouse), on the northern side of Las Playitas and the Centro de Interpretacion de Los Molinos (Windmill Interpretation Center) in Tiscamanita. 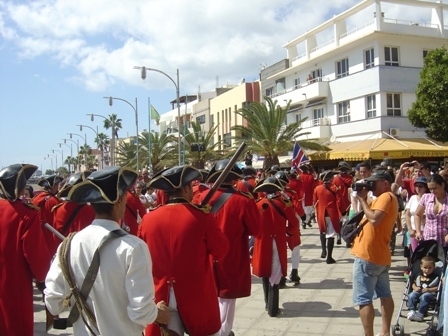 The major annual event in Tuineje, Fuerteventura is the re-inactment of the events leading up to, and including, the Battle of Tamasite of 1740. 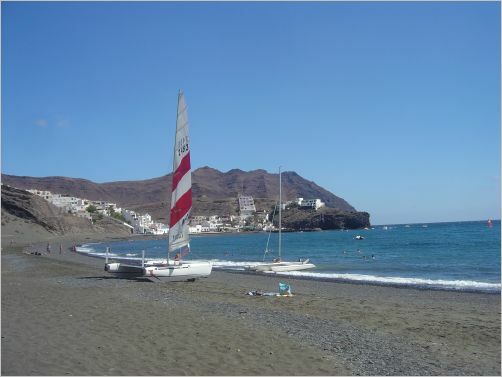 On 11 October in Gran Tarajal there is a re-inactment of British pirates landing on the beach. This event is watched by 100’s of people. 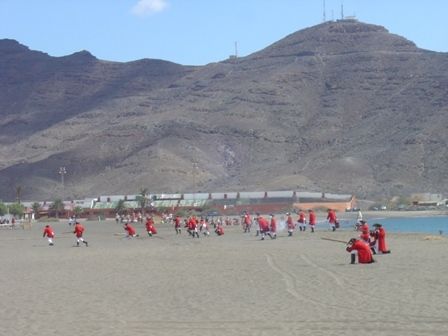 The pirates, dressed in bright red costumes wade ashore from their boats at around midday; then assemble and parade through the streets of Gran Tarajal led by a band. The next event is the following morning when there is a re-inactment of the Battle of Tamasite at Llano Florido near Tuineje. The story goes that the British pirates were outwitted and beaten by a handful of local men, armed only with farming implements. The event is important in Tuineje folklore as the British pirate invaders were forced to leave the island. This celebration also coincides with the Fiesta for San Miguel Arcangel in Tuineje. 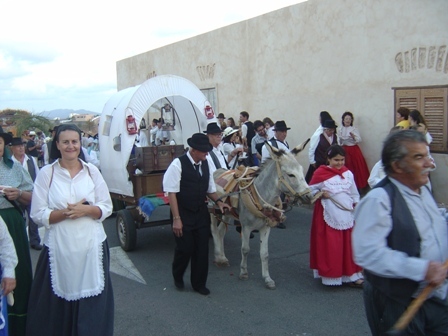 On October 11 there is a very popular Romeria (religious parade) in which hundreds of people dress in traditional Canarian costumes and take offerings to the church. After, there is a small funfair and an all night party, as the following day is a Public Holiday to celebrate Spanish National Day on October 12. In November 2014 the WOMAD Fuerteventura festival was held in Gran Tarajal and drew thousands of people to the free music and dance festival. After the success of this event, Gran Tarajal was again chosen for Womad Fuerteventura 2015 (6-8 November). Gran Tarajal is also the place for the Tran Tran Clown Festival which is held very November. Tuineje, Fuerteventura is one of the lesser known areas of Fuerteventura but is worth visiting to see places like Las Playitas and Gran Tarajal on the coast, and Tuineje and Tiscamanita in the centre of the island, where you can see traditional farming activities in the barren landscape. Many events do take place in the municipality so try to make it to one of them. Tourists are always made welcome.